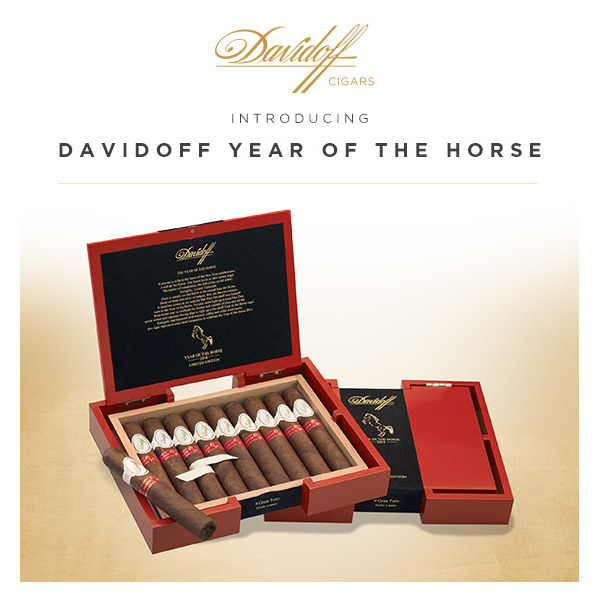 Limited to 3,000 boxes in the US, this luxurious limited edition is available at Davidoff Appointed Merchants and Flagship stores beginning in mid-November 2013. Limited edition accessories, especially crafted for this limited edition, will be available in December 2013. Davidoff stands for expertise and quality supported by deep heritage and craftsmanship to deliver unforgettable moments of pleasure. Limited editions are a playground for our master blenders to create unique and unrepeatable blends using very rare, special and aged Tobaccos. If anyone be at the heart of the new year celebrations, it will be the horse. The horse loves to take centre stage, the master of ceremonies, the hub of the social wheel. 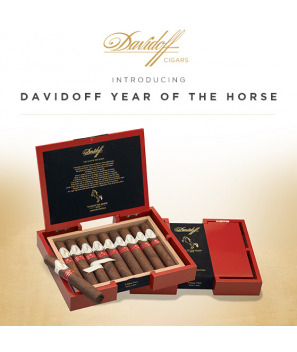 Energetic, excited, extrovert; therefore, it comes as no surprise that Zino Davidoff himself was born in the Year of the Horse, or that his fine cigars prove the perfect partners. Light up one of his cigars and you will light up a room like the most typical horses.